Last year EGM launched Little Town of Bethlehem with a coast-to-coast tour on U.S. colleges and universities. This year’s plans commemorating the period beginning on the U.N. International Day of Peace (9/21) and ending on the U.N. International Day of Nonviolence (10/2) are just as exciting. We’ll be returning to Washington, D.C. where the plan is to host a global conversation intended to demonstrate the very heart and mind, words and actions of the global nonviolence movement. The event will include “screenings without borders,” a mix of live and virtual showings of Little Town of Bethlehem designed to reach audiences around the world. Immediately following the Washington D.C. screening, all will be invited to participate in an interactive panel discussion that will be streamed online. Learn more here. “We’re excited to be making the kickoff event available via the Internet to as many people around the world as possible,” says EGM’s president Bill Oechsler. 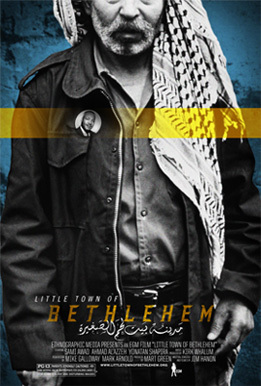 This event builds on the positive momentum and reactions to last year’s Little Town of Bethlehem launch in the U.S. If you would like to relive the From Boston to Berkeley tour or hear for yourself the Voices of Nonviolence captured during post-screening panel discussions, DVDs are available through EGM’s online store. We welcome others to participate by hosting a screening event during this important ten-day period, participating in the live streaming event, and sharing this information with other individuals and organizations that you know would be interested. Get started by signing up at littletownofbethlehem.org/globalvoices or contact our Director of Events & Community Engagement, Marianne Filary (mfilary@egmfilms.org). Loved the kickoff event in Washington D.C. last night! Yeah. Wish I could have been there.